Further tax cuts should be offered to government-designated industrial crisis zones in order to create an actual investment effect, according to Prime Minister Lee Nak-yon on Sunday. 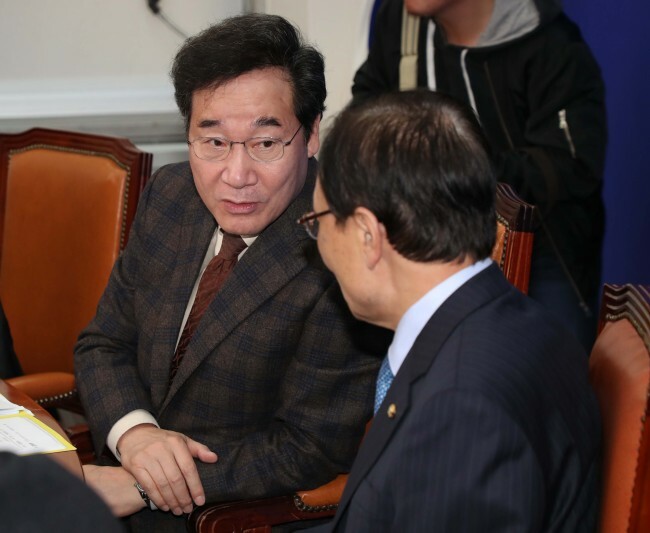 “I suggest we discuss ways to further increase the investment tax deduction rate in industrial crisis zones,” Lee said at the government and ruling party meeting held at the National Assembly. Earlier this year, the government designated a number of regional cities as special industrial crisis zones, offering five-year exemptions of corporate taxes and income taxes for new businesses in the region. The list includes North Jeolla Province’s Gunsan, the manufacturing headquarters of ailing US-based carmaker GM Korea, and South Gyeongsang Province’s Geoje, home to several of the nation’s shipbuilders. Lee suggested the central government increase its expenditures in initiatives to create jobs in order to alleviate financial burdens of local governments. “A number of plausible job creating projects are undergoing delay due to the lack of budget in local autonomous entities,” he said. The top policymaker also advocated the government’s job creating efforts, dispelling public skepticism. “Political circles and the medial are criticizing the government’s demand-driven job creating initiatives, but actual demands are high (for such jobs),” Lee said. His remark came in response to rampant anxiety that new jobs created by the government are only stopgap measures that have failed to properly address the nation’s unemployment crisis. Late last month, the government unveiled an action plan to create some 59,000 short-term jobs in public organizations and government agencies and to keep them running until year-end. Jang Ha-sung, presidential chief of staff for policy, echoed the prime minister’s stance. “I understand that some may oppose the injection of tax into the market,” Jang said. While dismissing speculations on Seoul’s economic crisis, Jang also reiterated the government’s active fiscal role in the market. “The contradictions found in the Korean society are largely attributable to the government’s negligence of the market (in past years),” he said.